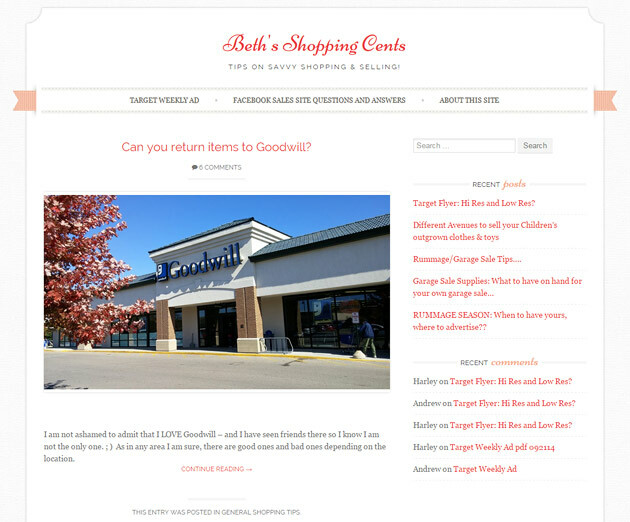 My wife Beth wanted a place to share her shopping wisdom, so together we created BethsShoppingCents.com. Beth has articles on Garage Sales (what we in Wisconsin sometimes call “Rummage Sales”), Thrift Stores, Store Coupon policies, and other info related to saving money and having fun shopping. In July of 2014 through January of 2015 I posted the Weekly Target Flyer (in pdf form) to the site as well. This site has had several Target Store – keyword terms on the first page of Google.com.